If the charity crafting bug has bitten you hard and you want to go big immediately, that’s terrific. Let’s say you’re starting a new crafting group devoted to charitable causes, or you’re diving headfirst into the deep end of the pool and trying to establish a brand-new crafting campaign on behalf of a favorite charity. We applaud such impulses and the generosity of spirit that fuels them. But before you make this big leap, take a moment to understand what you want to achieve and how you can best serve a given charitable organization so that your swan dive doesn’t become a painful belly flop. Imagine a crafting circle making 100 hats, then finding out that they used the wrong kind of yarn or half of the participants sent hats to the wrong location. Or worst of all, the charity doesn’t want hats. All your volunteers could end up feeling resentful—not the outcome you wanted. Remember the Great Penguin Sweater Fiasco of 2011? 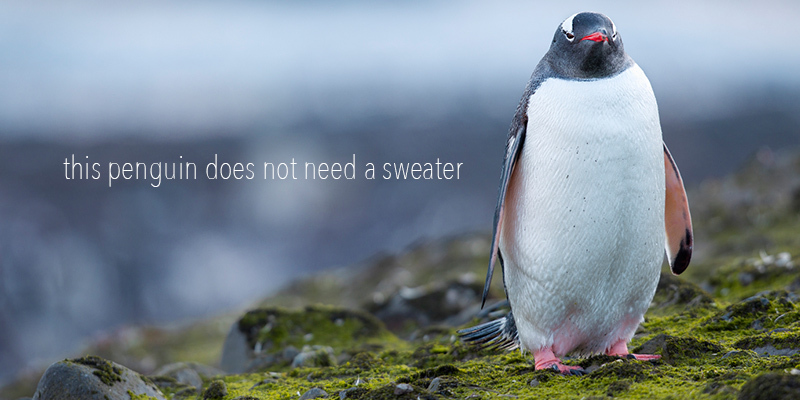 It turned out that sweaters didn’t help real live penguins, but could raise money and awareness for conservation efforts. 1. What do we want to achieve? No other question matches this one in importance, and everybody has to agree on the desired outcome from the get-go. Some charities want to collect crafted items and distribute them directly to recipients (in-kind donations); others don’t have the staffing power or other resources to manage these operations. In the latter case, a charity might prefer that the crafters sell their creations to raise money. While www.knittingforcharity.org lists organizations that want in-kind donations, it’s wise to double-check with an organization in case their needs have changed. Always go directly to the source and ask the charity what they need most. 2. How can we best communicate with the charity? Generally it’s best for a crafting group to speak with one voice, and for that one voice to establish contact with one person at the charity. Decide democratically but communicate hierarchically. 3. How can we best communicate with crafters? Who manages the central communication channel (website, Ravelry group, Facebook page, etc.)? After the Great Penguin Sweater Fiasco, it became clear that social media could be a curse as well as a blessing. Mike Dickison, a Penguin Sweater Fiasco expert, has developed a highly useful plan that gives campaign organizers more control over their messaging. At this point, you may be thinking, “Wow, I had this great idea for a campaign to make X for charity Y, but it’s going to require a lot of work.” It certainly will—especially if you want to do it right. However, there’s no rule saying you have to start big. 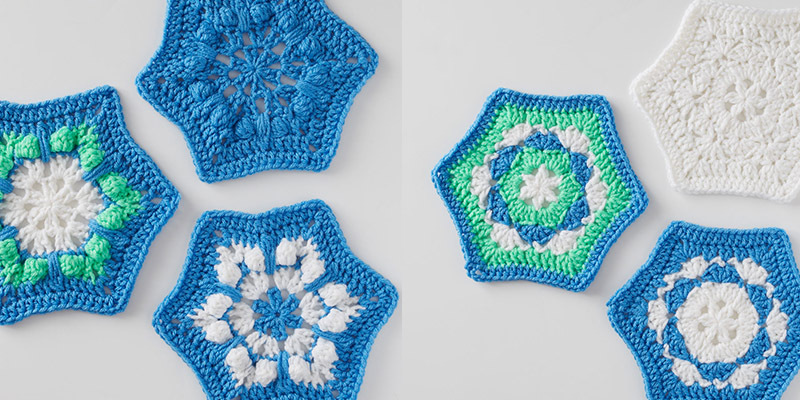 Set up a knitting/crochet circle, or get your existing group to try something on a smaller scale. 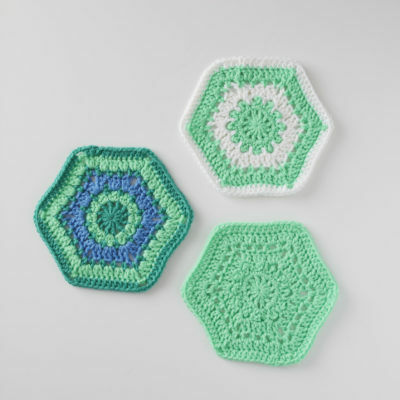 If you want to ease into charitable crafting, Marly Bird offers terrific advice in her columns for Love of Crochet, along with hexagon patterns for a lovely blanket. This four-part series appears in Fall 2016 and Winter 2016, continuing through Spring 2017 and concluding in Summer 2017. Whether you embark on a small campaign or a large one, I can’t overemphasize the need for a little research. Make sure you follow the charity’s guidelines on sizes, type of yarn, and other materials. They developed these rules for a reason. Finally, if you don’t have the means to craft in-kind donations, you can often help a charitable organization in other ways. Good causes always need money or simply good publicity to raise awareness—if nobody knows about a bad situation, they won’t be inspired to help fix it. There’s always some way to shine a little light in your corner of the world.